Bundle Savings – title is FREE! 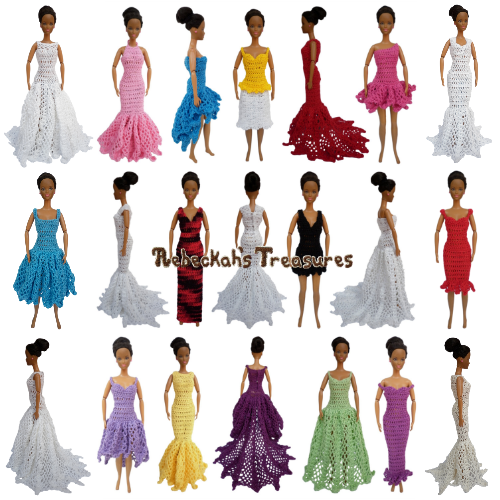 This nightgown pattern is for 11 1/2" fashion dolls and can be made in several different lengths. It is done mostly in single crochet and is therefore really easy to crochet. Get this pattern free with your "Criss Cross Bedding" purchase! Use code: DOLLYBEDTIME at checkout. 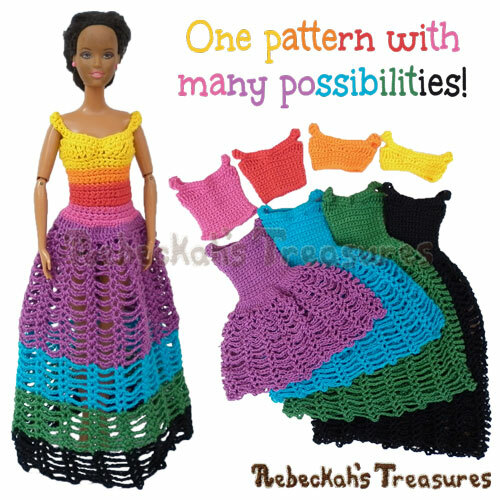 Written instructions include how to crochet the nightgown pictured. This PDF formatted pattern has 2 pages (2.7 MB) and uses US Terms. *These measurements are from using a 2.1mm Hook and Size 10 Cotton Thread.